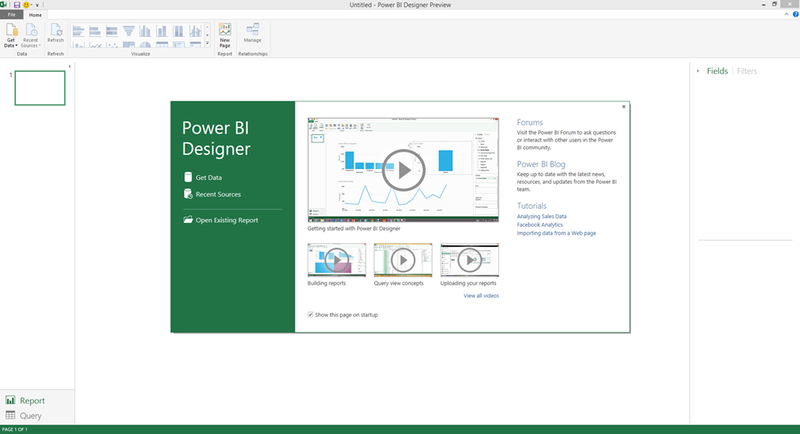 Today Microsoft announced the new Power BI features including the new Power BI Designer tool that provides a separate downloadable standalone application that can be used for Power BI features such as Power Query and Power View! 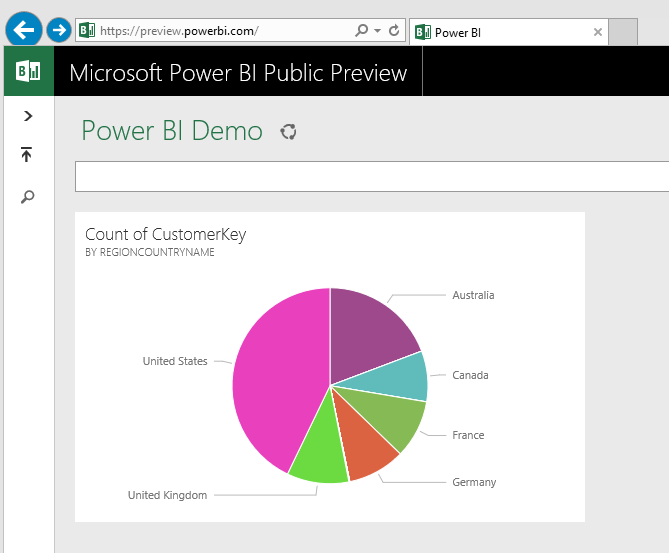 This is completely separate from Excel – now users can connect to data, relate data, create reports, and also import them to Power BI dashboards to share! 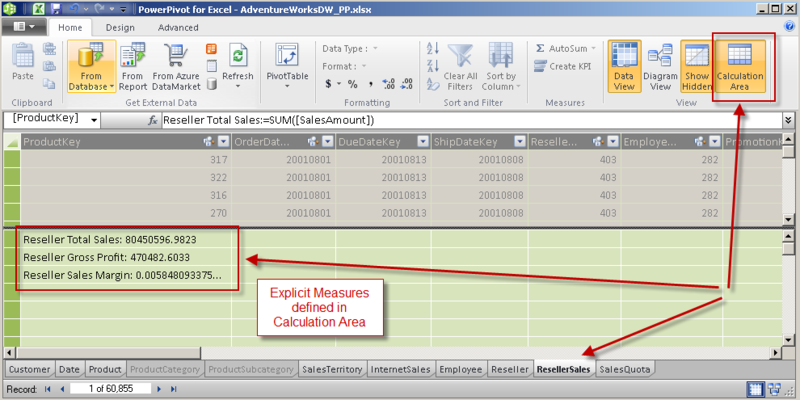 So in this example I was able to connect to an existing Excel file I had with some preloaded data (Customer and Geography tables), relate the data (queries) together, create a report (as you can see there are new visualizations available such as treemap, gauge, filled map, funnel, combo chart, etc. 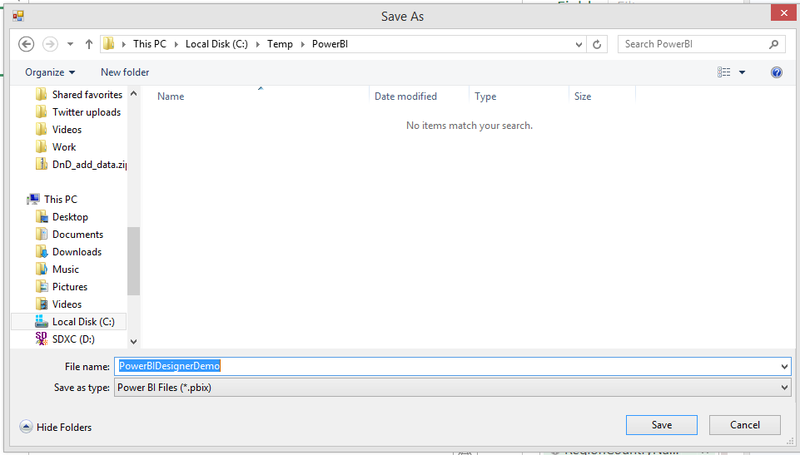 ), and save the file locally (pibx file extension). 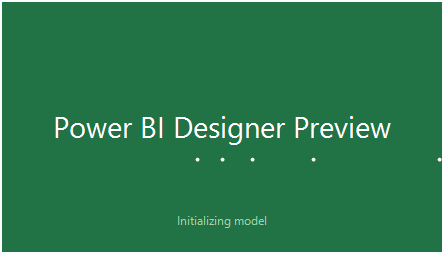 Now that I have a Power BI file with a report I can go to the Power BI Dashboard site and upload this file to share the content. 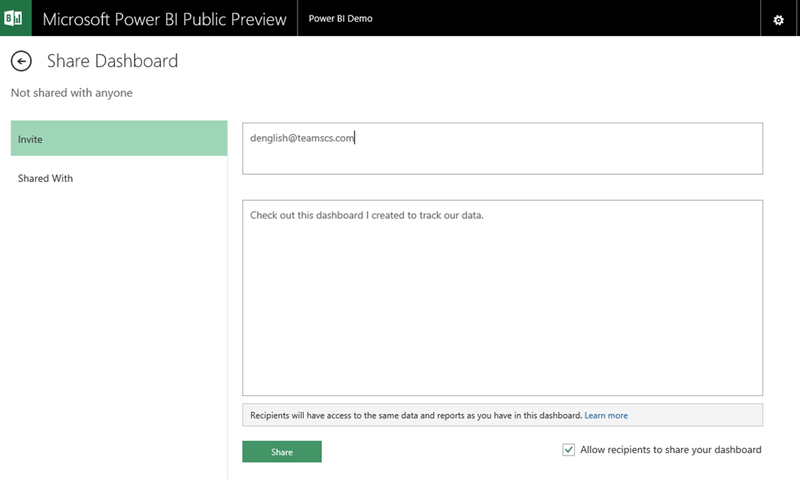 Once you get the report loaded you can then continue your design experience, pin items to a dashboard, and share (within your own organization for now)! 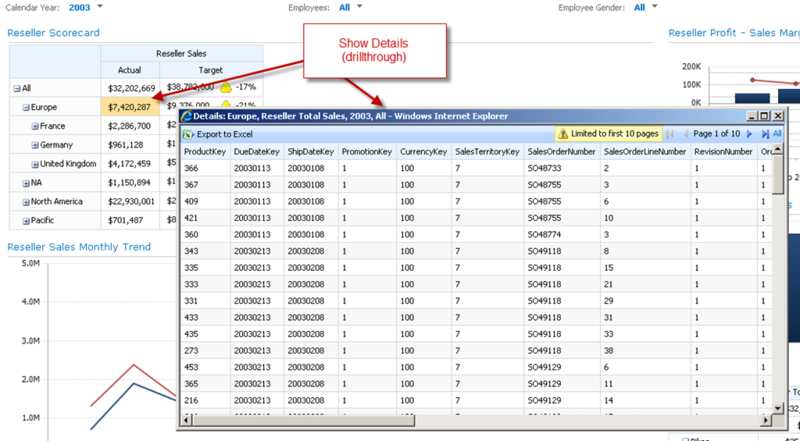 All of this is done in HTML5, so no worries about Silverlight. 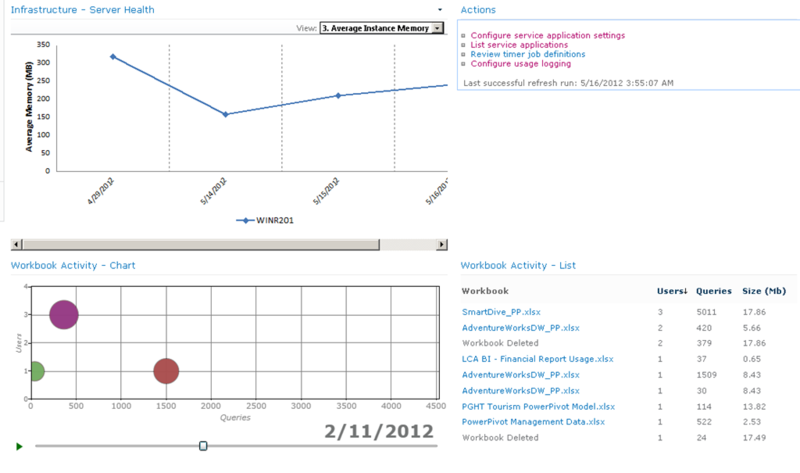 Quite a few of the new visualizations are not supported to be pinned yet, but at some point they will, so hold on. Very cool, a whole new user and sharing experience! 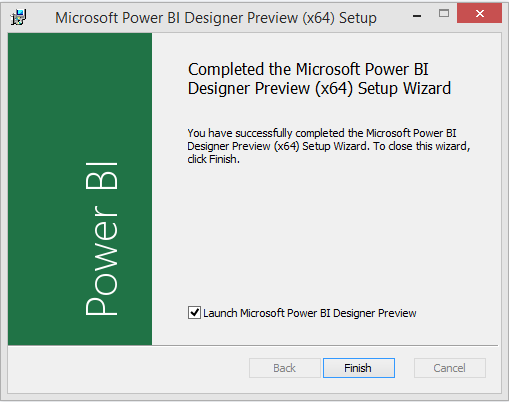 Enjoy and thanks to the Power BI team! 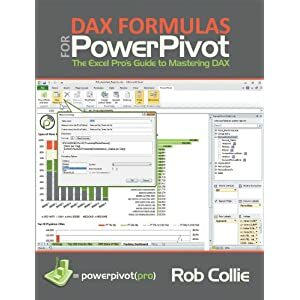 This week I got the opportunity to read a new book out on the market by Rob Collie (PowerPivotPro) – “DAX FORMULAS for PowerPivot: The Excel Pro’s Guide to Mastering DAX”. I have to admit that once I received the book I read through it in a couple of days, couldn’t put it down and wanted to finish it. I really enjoyed the style of the book, just like Rob’s blog posts, and there was just a really good natural transition of the content that it kept me hooked. While reading the book I really felt that I was in a classroom and Rob was presenting the material, something about the writing style, really enjoyed it (hat tip to Rob). The book is loaded with great tips and advice from Rob, reference links to his blog posts and other content, and real world examples. 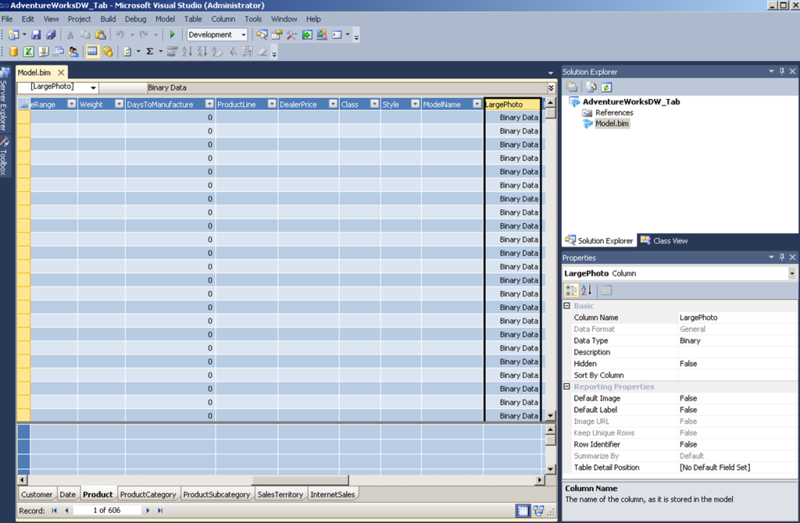 The solutions and examples provided in the book can be used right away if you are already using PowerPivot or Tabular SSAS. 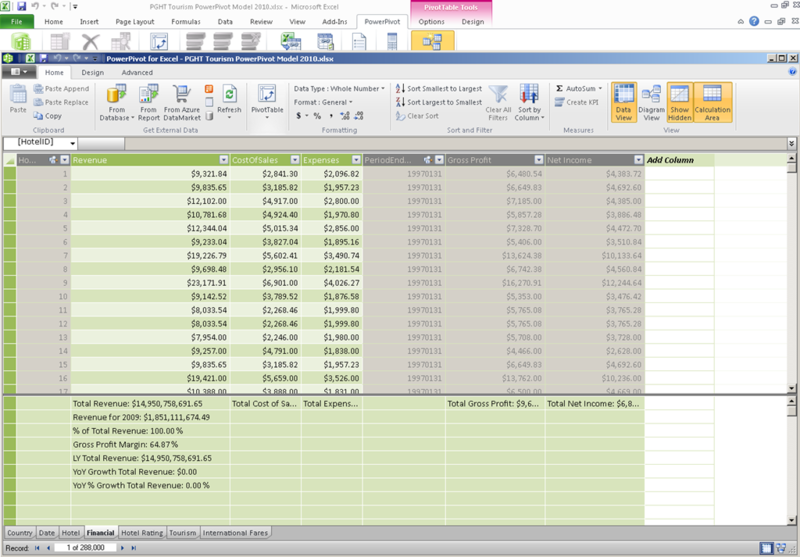 There is material in here not just for the Excel pros, but also for IT/BI pros as well. The second night I was reading the book my son took a peek at what I was doing on my Kindle Fire HD (great reading experience by the way – color, access to the embedded pictures to enlarge, ability to access the links directly, easily take notes and add bookmarks). My son is in first grade and really starting to get comfortable reading. He started to read the page I was on:) It was really cute. The book was not only good for me, but helped my son learn new words and work on his reading (not sure if this book can qualify for an AR test though)! When it comes to the editing of the book I did come across a some minor typos, nothing too major, and one figure was missing (Figure 154). 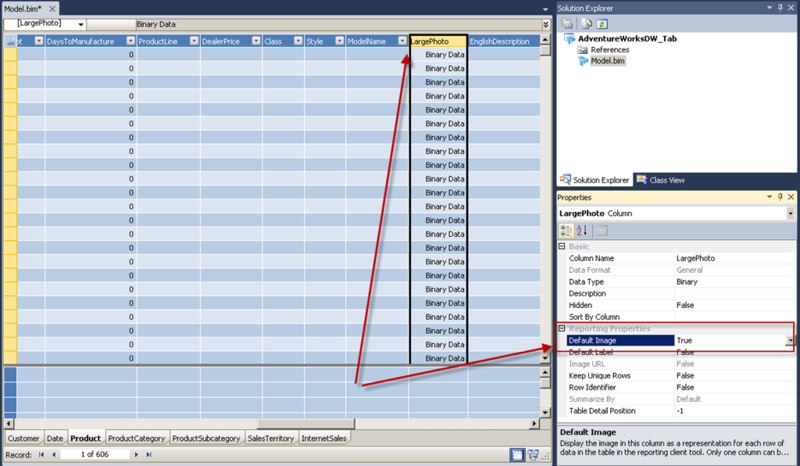 There are references to the Measure Grid (actually Calculation Area in PowerPivot, Measure Grid in Tabular SSAS – this is one thing that I wish Microsoft kept the same or consistent for referencing). I got a laugh when Rob states that implicit measures are ‘dead to me’ and that he never, ever, EVER creates implicit measures. The book is really invaluable and the price is a steal (particularly if you buy it on Mr. Excel’s store here) The length was exactly what I like, short and to the point, I don’t want to read a 800 page door stopper, anything in the 300 or less page range is perfect (that is why I liked the Rational Guide books by Rational Press) and supplemented with links for additional references and more content if desired. The material and insights that Rob covers is fantastic. 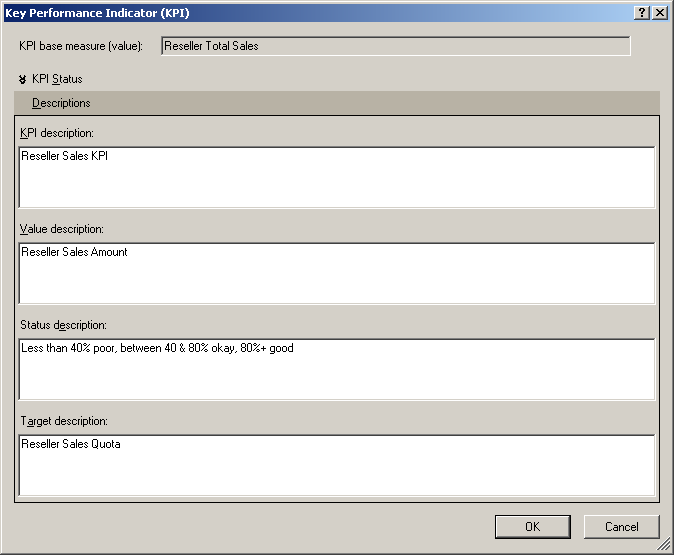 The disconnected table concepts as well as performance tips are PRICELESS. I would highly recommend this book and without a doubt give it a five star rating. 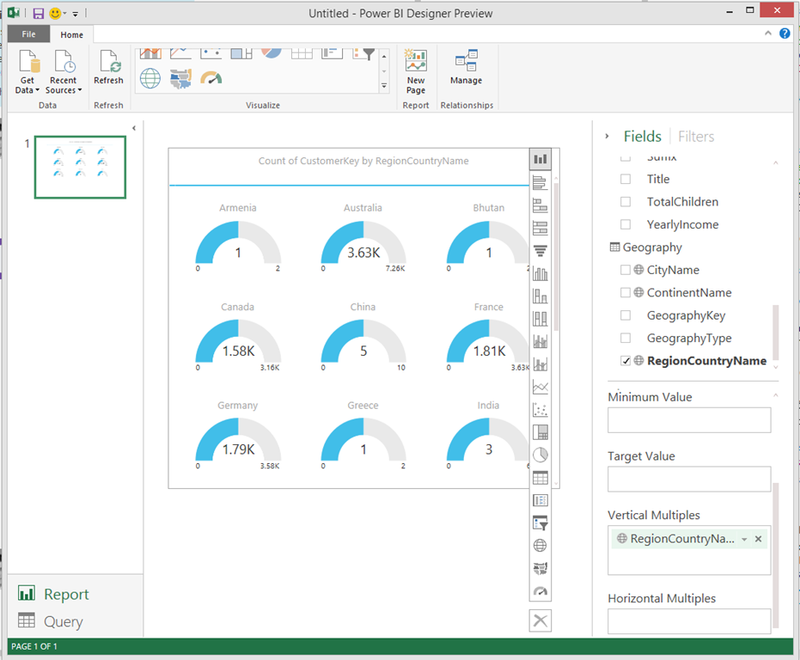 Back in June we released our book on Power View, Visualizing Data with Microsoft Power View. 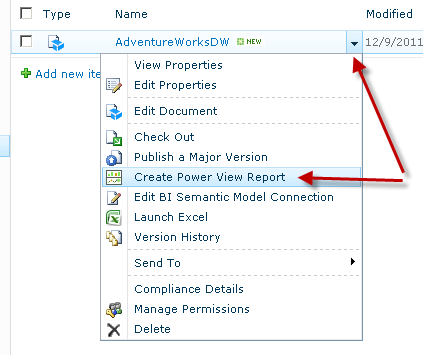 Not only does the book contain great information about creating reports with Power View, but it also contains content on building tabular models that can be utilized with Power View. 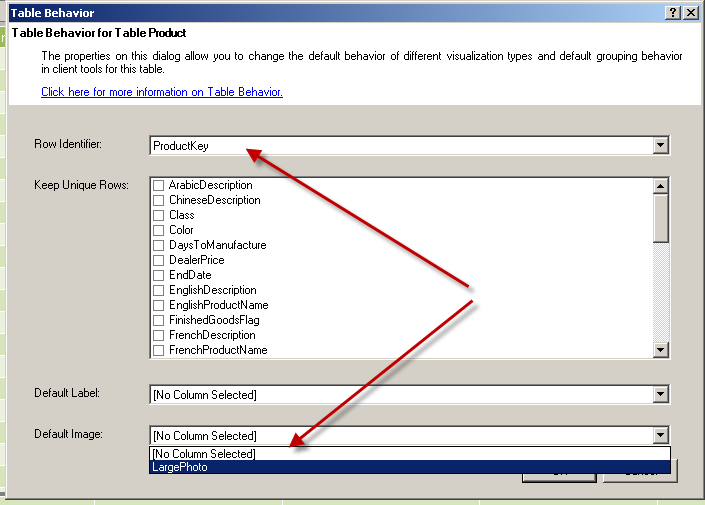 The current release only works with tabular models, so either PowerPivot or Tabular Analysis Services (SSAS). With our book we primarily focused on building out a Tabular SSAS solution that gets used for the majority of the Learn By Doing exercises. 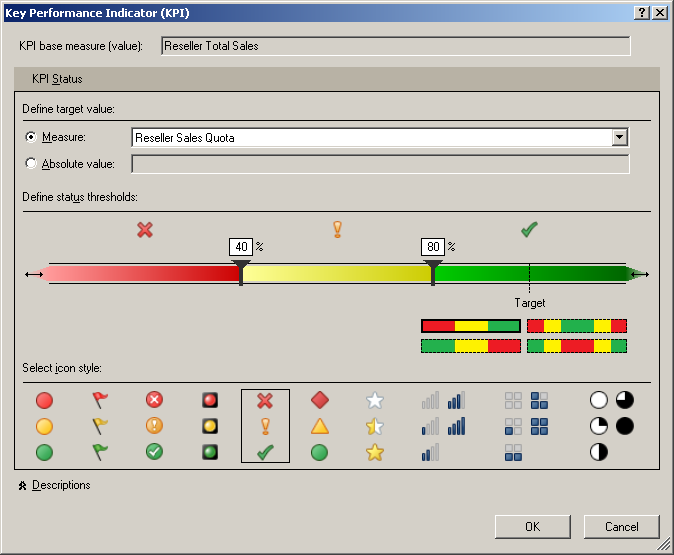 Sure there are a few times where a PowerPivot file is referenced or we do some initial modeling in PowerPivot, but most of the work gets done with the tabular solution that gets deployed to Analysis Services. 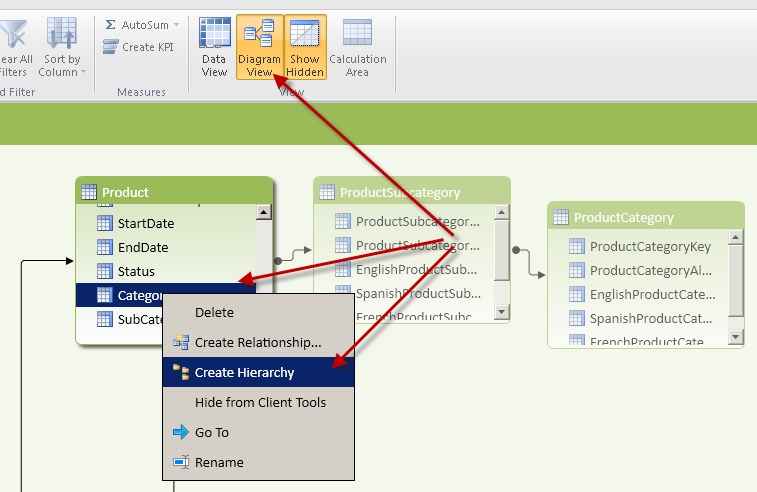 Well just a few weeks ago when Office 2013 Preview was released I decided to build out the entire Pan-Geo Hospitality & Travel model in PowerPivot. 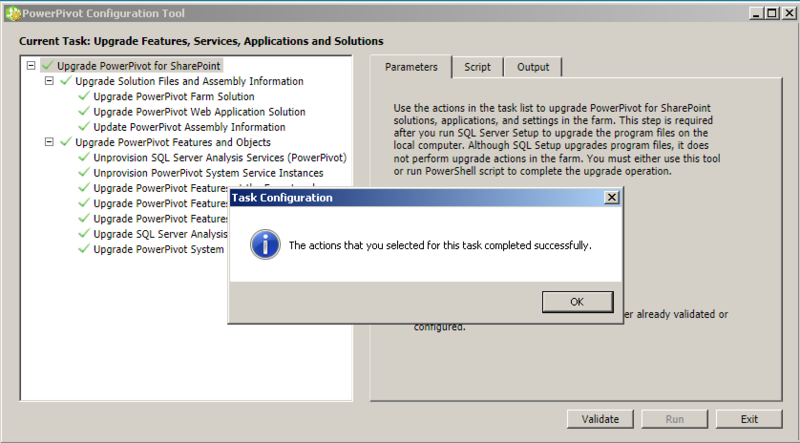 I went ahead and replicated all of the exercises that we did in the tabular project into PowerPivot (using Excel 2010 and the SQL 2012 PowerPivot add-in). 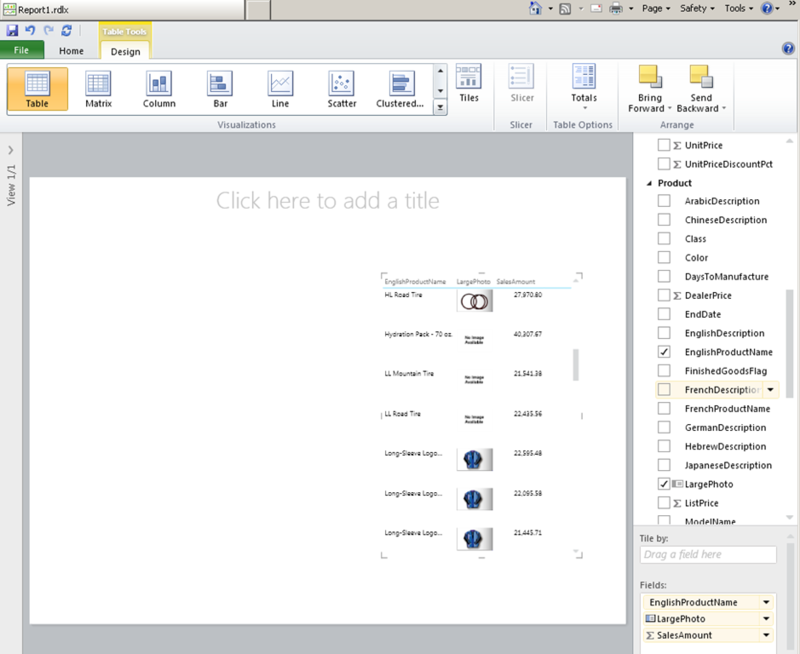 I then took that same file and upgraded it up to Excel 2013 as well – Power View Meet Excel 2013. 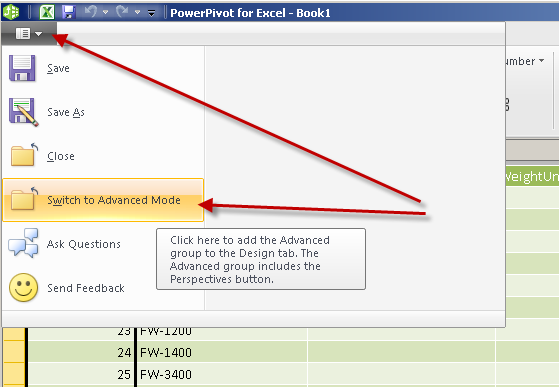 If you are interested in Power View and especially if you have already purchased the book (hint, hint) I have gone ahead and uploaded the two Excel files to my SkyDrive here – Power View Book. 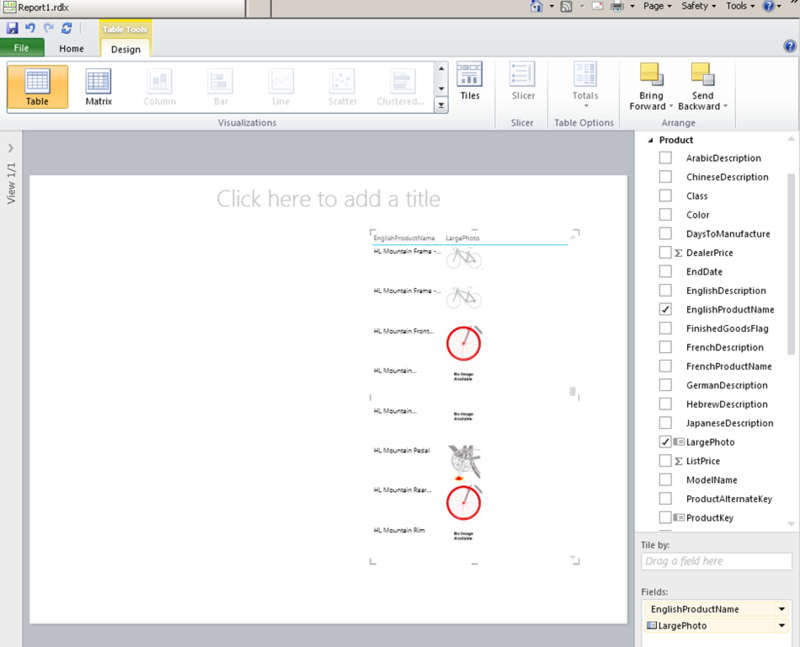 Now in order to get a good download of these don’t open the Excel files up in the browser in SkyDrive, simply check the box next to the file and chose the download option on the right-hand side of the screen. I would do them separately. Then simply open them up and have at it. 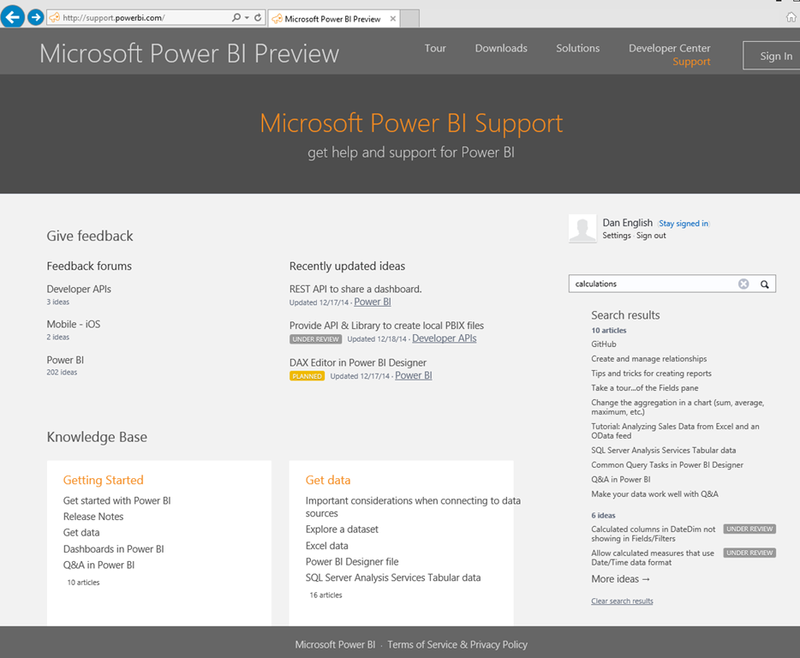 Now if you want to use Power View in Excel you will need to download and install the Office 2013 Preview. 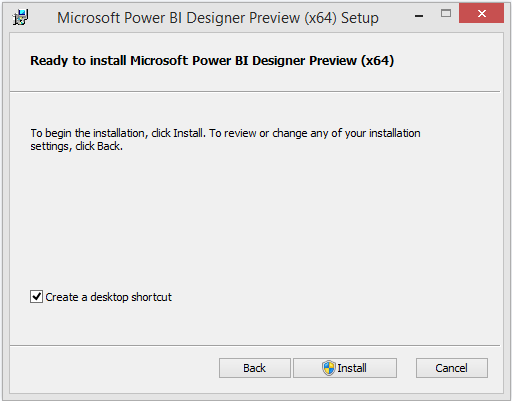 If you want to build out map reports with that you will need to make sure you have an Internet connection so that it can connect to the Bing Map service. I would be very interested in some feedback and seeing what people build out with the PGHT dataset. So feel free to leave a comment here or send me a tweet (@denglishbi). 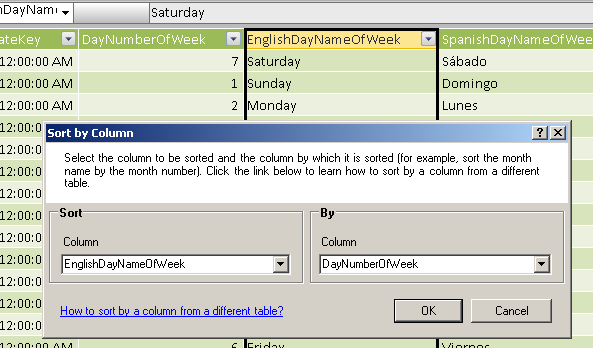 Now that the SQL Server 2012 RC0 release is out I wanted to do a follow up posting to my Using Images in Tabular BI Semantic Models with Crescent (now officially known as Power View). 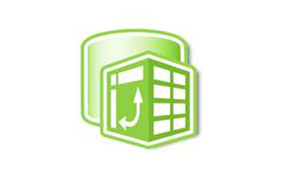 With this release there is now full support for using images stored in the database – binary data type support has now been added to model development in PowerPivot and Tabular Analysis Services projects. 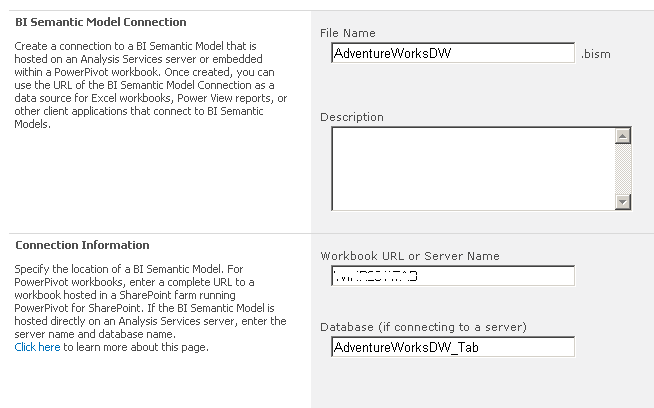 In this example I will use the AdventureWorksDW database sample again that I used in the previous posting. 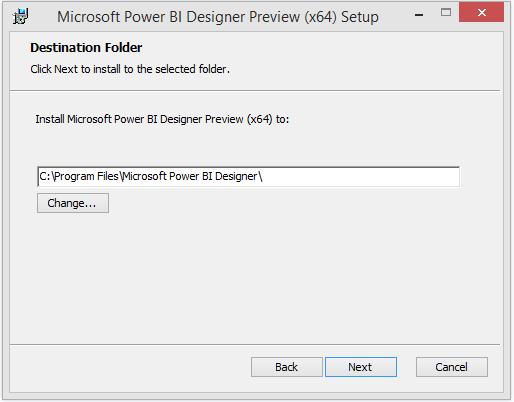 First I will load the data into a model using SQL Server Data Tools (formerly known as Business Intelligence Development Studio – BIDS) inside a Tabular Analysis Services project. 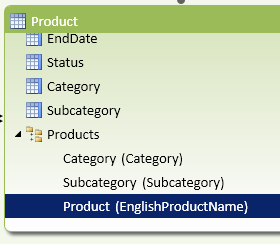 Nothing new here except for the fact you will notice some changes in the Properties area for the column compared to what it looked like in the CTP3 release where now we have two sections – Basic and Reporting Properties. And yes, now the field list is in alphabetical order! Awesome. 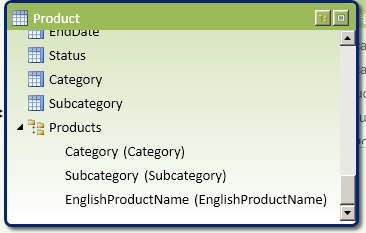 So how do we make this column available? Let’s go back into the model design. In order to make this column available we need to do two things. 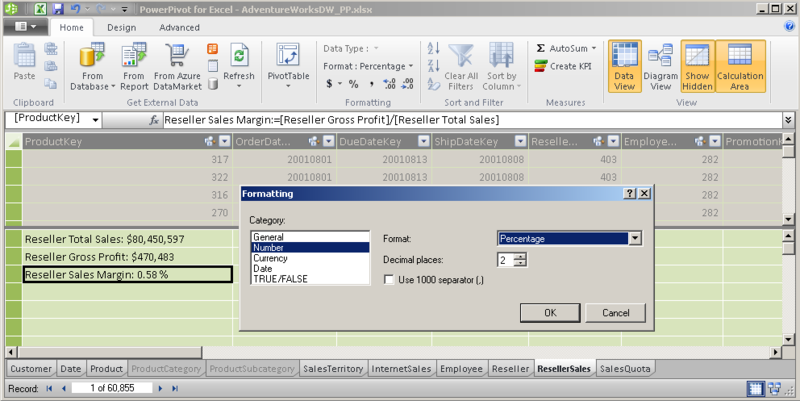 First we need to set the row identifier property on the Product table and we will do this using the ProductKey column and set that property to True. 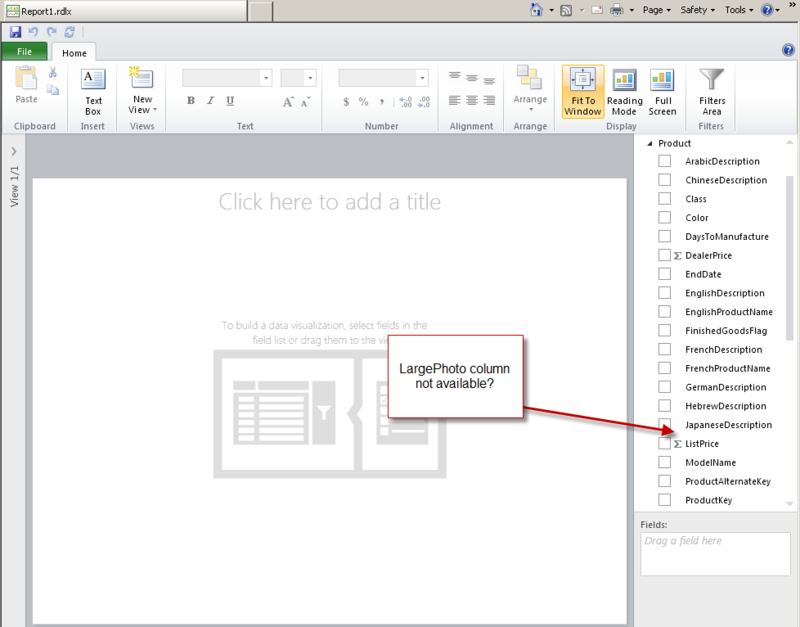 Next we need to set the default image property on the LargePhoto column and change this value to True. Now we deploy our model again to our server and refresh the browser to reconnect to our model connection. Now what do we see in the field list? 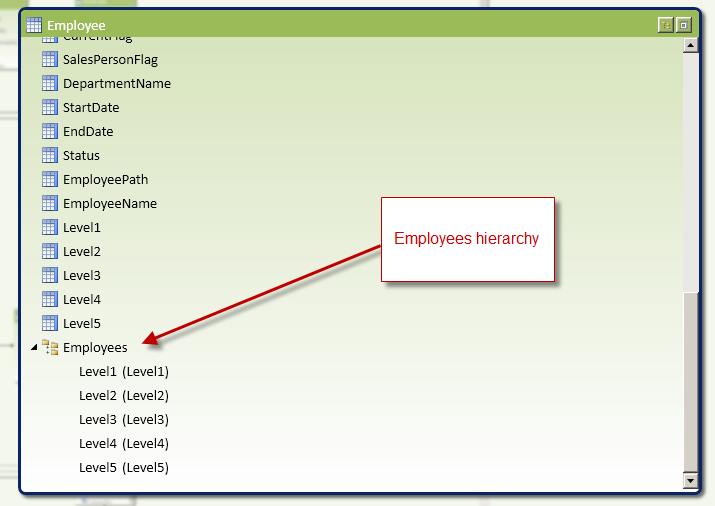 We now see the LargePhoto column and we can use this in our visualizations that we add to the Power View canvas. 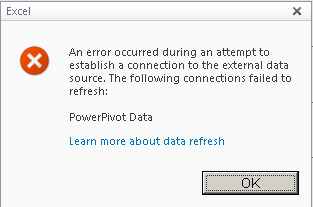 Now how do we do this in PowerPivot with the RC0 add-in? Well this has changed a bit as well now as far as the UI. 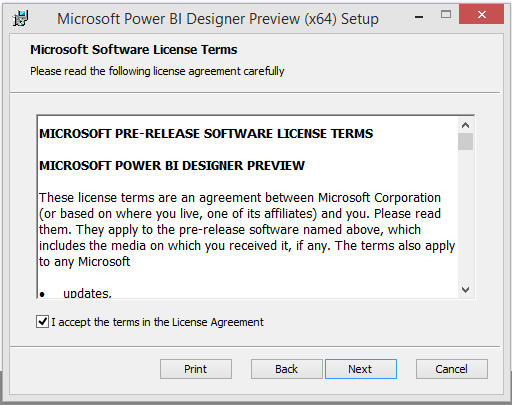 And that is the quick update I wanted to post in regards to the change in RC0 for support for database images and to show you how some of the property and menu options have changed. 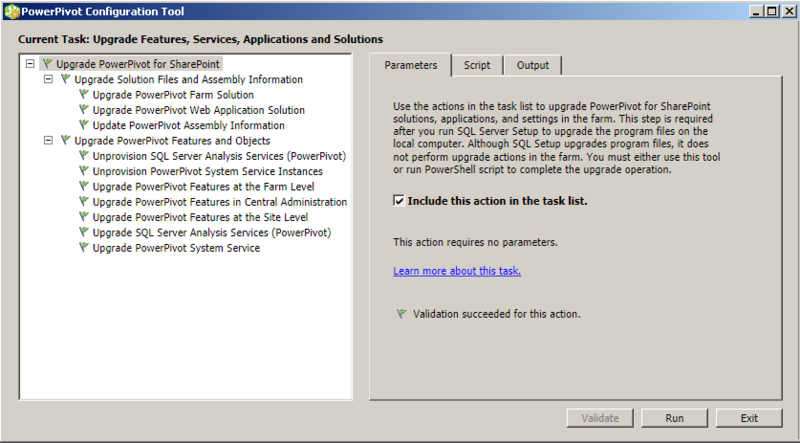 Enjoy and don’t forget to get your copy of SQL Server 2012 RC0 so you can start testing it out and planning your roadmap change to the next release of SQL Server. 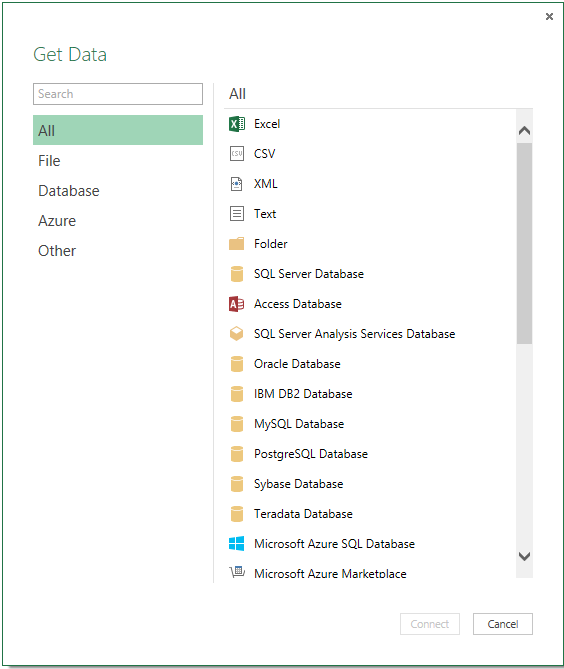 If you are looking for resources and information to the RC0 release check out this great list that Nick MacKechnie put together here – SQL Server 2012 RC News. I finally got around to recording the presentation. I only did the demo to create the screenshot application I included in the presentation, I didn’t include the portions where I demo exploring the xlsx file by renaming it to zip file extension or browse the VertiPaq folders that get created in your %temp% directory in Windows (watch out for these because they can take up a lot of space over time – I currently have 16 VertiPaq folders consuming 1.31GB of space). 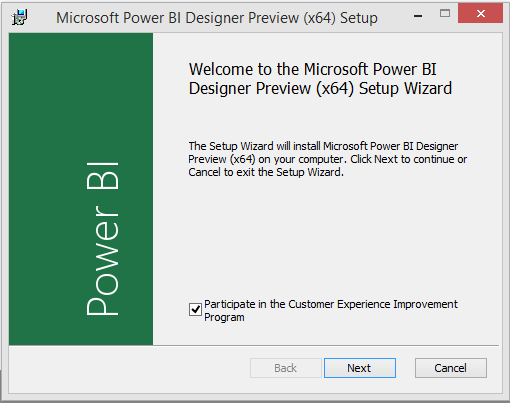 For the follow up on this presentation you can check out my previous posting – MN Microsoft BI User Group 2011 Q1 Follow up. 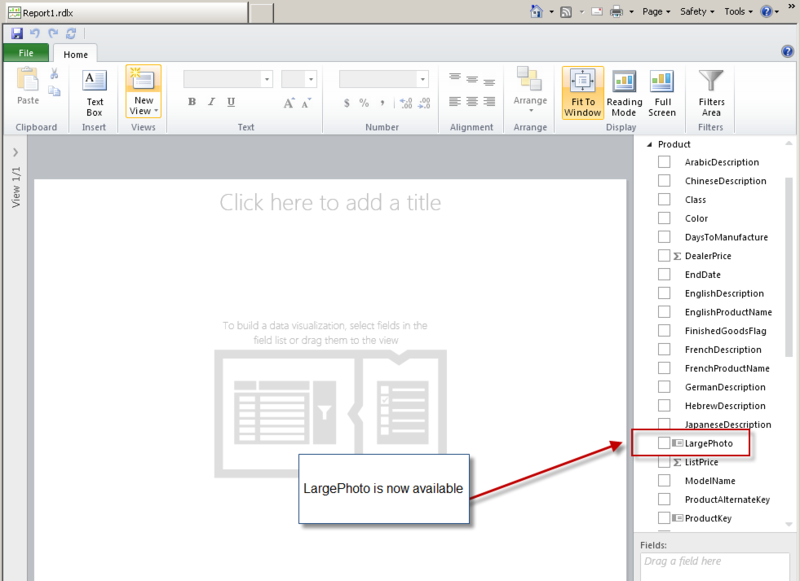 You can download the PDF presentation material by clicking on the PowerPoint screenshot on the right-hand side which I have stored on my SkyDrive account. This video file is approximately 27 minutes long. I didn’t realize my demonstration was that long, next time I will have to time this out so I can make sure I have plenty of time to show the complete demo and have time to resolve any technical difficulties. The file is approximately 43MB if you download it and I did make this in HD mp4 quality, so it should be good to watch. This was my first time using Camtasia to create a screencast, so hopefully everything worked out okay (really sweet product). 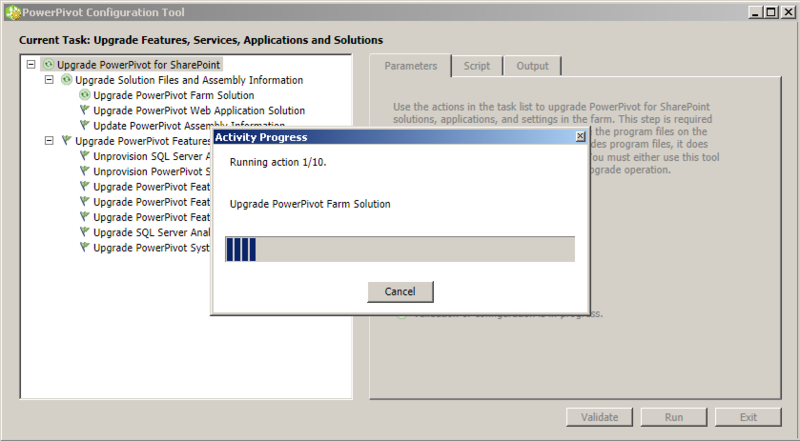 Leveraging PowerPivot Demonstration from Dan English on Vimeo. Hope you enjoy the video, please feel free to post comments and questions. Later. Update (4/5/2011): I have the PowerPoint presentation on SlideShare if you don’t want to download it and just want to view the slides. 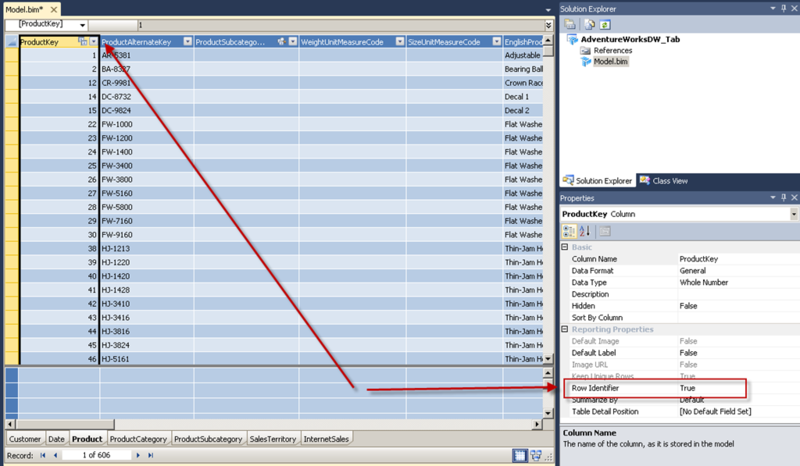 When I exported the file I also used the Vertical Bar for the delimiter and included the column headers.